The foundation of a good e-commerce strategy includes many of the same fundamentals of effective advertising: tell the customer what the product is, how it works and where to get it. 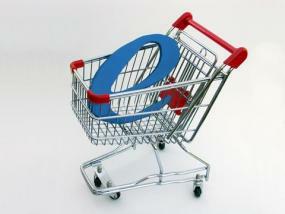 This article will outline some key points of establishing an e-commerce strategy. Simply "selling stuff through a Web site because everyone else does" is not necessarily a strategy, no matter how popular the action seems to be. While a company needs to stay competitive in the electronic marketplace, it also should play to its strengths. First and foremost, identify the need for e-commerce. The principals of the company need to review or expand the business plan to have a concrete understanding of why e-commerce will be of benefit to the company's objectives and growth potential. Ask yourself: why the need for e-commerce? Is it to sell product? Again, like advertising, these are the fundamentals to be answered before true progress can begin. Develop a solid understanding of the target audience and buying patterns of your product or service. Two books that may assist with intent development and strategy are e-Business 2.0: Roadmap for Success by Marcia Robinson and Start Right in e-Business by Bennet P. Lientz. How you define the benefits of e-commerce for your company will lay the groundwork for the endeavor. An effective e-commerce strategy requires the input of every member of the company. The onus can't fall on the "IT guy" to create the system: that expertise is a primary component, obviously, but not the only one. The bookkeeper of the smallest company is just as much a star in this scenario as the product developer, because who else will process the transactions? Based on the e-commerce evaluation process, select the key company members who can ask the tough questions, stemming from their own online experiences, and develop solutions that have real merit. Those experiences on other sites, especially when it comes to purchasing product, will clearly outline some important dos and don'ts. Few site visitors are truly dazzled by whiz-bang Flash animation (about 10,000 Web designers just clutched their hearts at that statement) and even less purchase because of it. While a company should never sacrifice eye-catching design, neither should it ignore the fact that many of its site visitors are in comparison mode and don't have time for theatrics. They are, quite literally, window-shopping. Create balance between attracting customers with the features of the site, or "window dressing", and helping them when they step "into" the store. A good Web site demonstrates a concentration on customer service through functionality. How easily and quickly the pages load. If the customer can make side by side comparisons of similar products. Whether there's a workable and in-depth search function. What do visitors click on? How many clicks does it take for them to get there from the home page and should they get there faster? Equally important is why are they looking for that product? Is it related to another produce? Can you cross market the two items? How efficient are the forms and transactions. How quickly and effectively are the responses to customers' questions and needs met. If you're a company of one, it's difficult to be the expert on everything. Nor can you handle the nuts and bolts of development, maintenance, processing, reporting and tracking. Part of a successful e-commerce strategy is recognizing strengths and weaknesses. Maybe it's easier to sell your products and services through eBay until you can gauge how successful the e-commerce venture will be. In addition, there is a vast selection of companies like Monster Commerce and PayPal that can assist your e-commerce efforts by developing your site and using tested methods and proprietary software to maintain the technicalities. If you're unfamiliar with the inner sanctum of the Internet and e-commerce, outsourcing makes good business sense. You'll learn as the e-commerce division grows, while remaining rooted in the core competencies of your business. Designed with clear intent and focus, an effective e-commerce strategy can be a positive and exciting extension to your business.